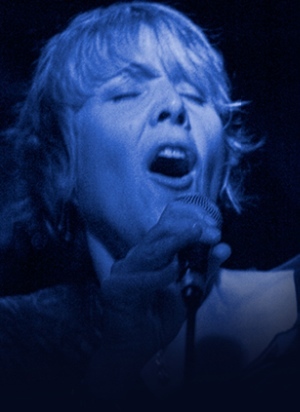 The Vancouver International Jazz Festival is with us again, from June 18 – July 1. With big names such as Buddy Guy, Sonny Rollins and Tower of Power, along with locals-now-living-in-New-York Renee Rosnes and Bria Skonberg (Quintet) – and many more – there will be some great music all over the city for the next couple of weeks, much of it free. If you like gospel music and steel guitar, The Campbell Brothers are hard to beat. Add in the fact that they’re celebrating the 50th anniversary of John Coltrane’s A Love Supreme, and Friday’s (June 19) show on the North Shore could be one of the highlights of the festival. 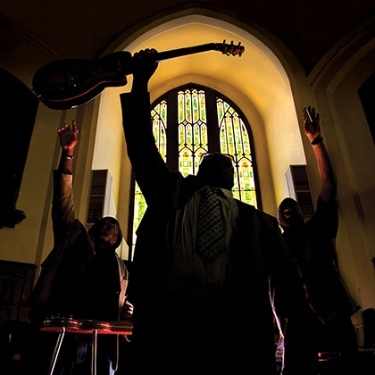 The Campbell Brothers – Chuck, Phil and Darick – play a specialized strain of gospel music called Sacred Steel. Sacred Steel features lap and pedal steel guitars, and it is indigenous to the House of God Church, a schismatic Pentecostal church, whose headquarters are in Nashville. . . .
“And that was from family,” Darick added. The brothers agreed, however, that it made them practice harder. . . . 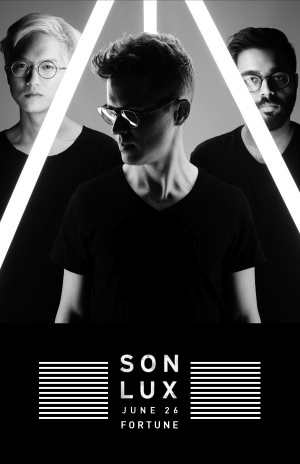 Son Lux will be here June 26. Over the last four years, Son Lux has collaborated with a diverse mix of artists, from indie-rock darling Sufjan Stevens to composer Nico Muhly, to indie-rapper Busdriver. Meditative and heaving with energy and deep, dark groove, Son Lux’s cinematic music envisions a world both strange and welcoming. His show – intriguingly labelled ‘Son Lux (with Olga Bell) in Association with Blueprint Live’ – comes up on the 26th, at Fortune Sound Club in Chinatown. If much of The Campbell Brothers’ music is overtly Christian, Son Lux’s is not. I was also immediately struck by his use of scripture (and lines clearly derived from scripture) throughout these very non-standard songs. Lott starts with a biblical verse, a fragment of a verse, a spiritually charged word – and repeats it over and over, like praying with rosary beads. And after listening to the same scrap of truth repeated, sliced and diced, taken out and examined from all sorts of musical angles, I finally got it. This is the musical equivalent of lectio divina, the spiritual discipline of meditating on a small segment of scripture and soaking in that truth in all its ramifications. I suspect there are a number of Vancouverites who are thanking God for allowing both Sufjan Stevens and Son Lux to pass our way this summer. Leora Cashe will perform at St. Andrew’s-Wesley United Church. St. Andrew’s-Wesley United Church will host 10 excellent local jazz musicians and choirs for free concerts – eight of them at noon, two at 4 pm.